Every year my Aunt Sid would make her orange cookies for a man at her church. The last year she made them for him he actually died on that very day. How very unfortunate for him. It just happen that I visited my Aunt that very day and she sent all the cookies home with me, how very fortunate for me. I loved them and have been making them ever since. This is probably one of the favorite cookies with my family and friends. Having the right tools will make baking theses cookies a lot easier. I love using this zester to grate the rind of the oranges and this juicer is an easy way to juice the oranges. I am sure that you can get these tools at most kitchen stores. I found them at William-Sonoma and here is a link to the zester and juicer. My husband loves these cookies so much that he is willing to do the zesting and juicing for me. Because this is an older recipe they do not tell exactly how much zest and juice to use. And since all oranges are different you have to use your judgement. I try to use medium size oranges. I also try to look at my batter as I am adding the juice. The batter should be on the thicker side. For this recipe my oranges were about 4″ across and I used all the juice they produced. These are the cookies after they are baked. The icing is what really makes these cookies. I hope you will enjoy these cookies as much as my friends and family do. 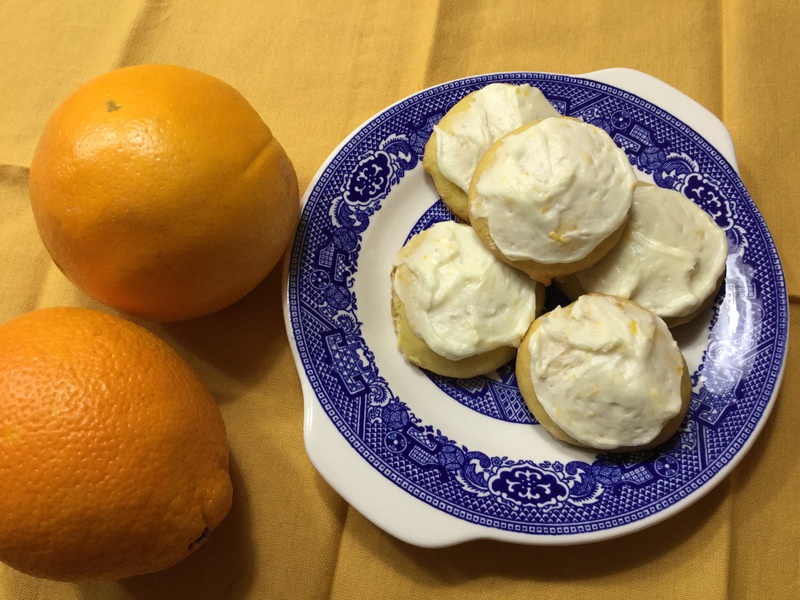 This will take you to a page for the Orange Cookies with a printable pdf. I have made all of the cookies and have enjoyed them all. My Sweet Emily, thank you so much for your kinds words. It is amazing how much we think alike, I need to make more because they are uc’s favorite. love you too and look forward to our time together.